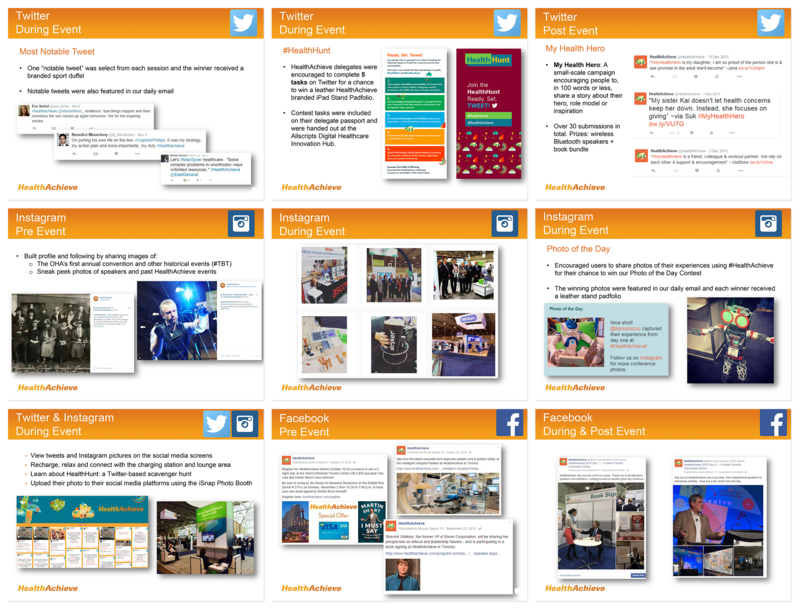 The IAEE Art of the Show Competition’s Social Media Campaign category evaluates the collective use of social media channels to effectively promote a show before, during and after the event. Judging criteria includes: content appeal and usefulness; effectiveness of distribution and target audience engagement; target audience response; how well the campaign correlates with the overall “theme” of the show; how well the social media campaign met its intended goals; and how well the social media drove attendance, general show awareness and overall brand awareness. Read the complete case study about how OHA won not only in this category, but took the overall Best of Show prize for last year’s Art of the Show Competition with this entry here. SuperZoo’s audience is highly social, therefore a variety of tactics was used to encourage them to engage before and during the show. The primary goals were to increase followers, and drive registrations and onsite verification. With audience acquisition in mind, mdg developed a paid Facebook campaign that mixed boosted posts and events with targeted ads to build SuperZoo’s follower base and drive attendance. Recognizing the importance of Instagram as a platform, they also sought to build this audience. The 2016 social media campaign was a huge success, with a 23 percent increase in Facebook likes, a 58 percent increase in Twitter followers and a 106 percent increase in Instagram followers. Facebook remained the most popular platform and views and engagement peaked during the show, with users frequenting the page multiple times per day to see what was going on onsite and what they should make time to see. The efforts to build the Instagram audience also paid off with a 151 percent increase in likes over 2015. The campaign also went to great lengths to get the sort of exclusive, visual content that drives engagement. 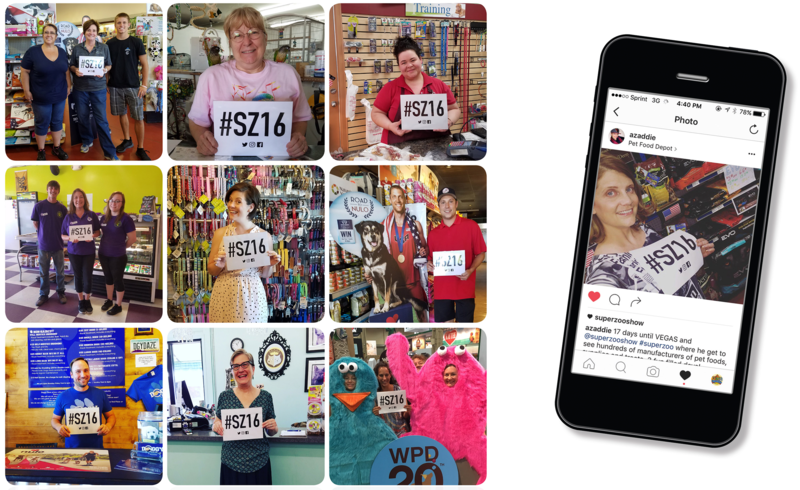 In the weeks leading up to SuperZoo, a hashtag campaign was run asking people to download a #SZ16 sign and share photos for a repost which featured big-name speakers on successive “takeover Mondays.” This takeover campaign resulted in 68 clicks to registration and had a reach of 33,725 people. They also promoted a #WPAGoodWorks photo contest where followers posted photos of their business doing good works in their community for a chance to win a $1,000 donation to the charity of their choice. Once onsite, SuperZoo utilized Facebook Live and the new Instagram Stories feature (which came out while the show was happening!) to provide relatable, unscheduled content at exciting moments – show floor pan from a cherry picker, anyone? A Facebook Live post featuring a birds-eye view of the show floor was the campaign’s most successful piece of content, organically reaching 45,617 people, resulting in 1,780 likes, comments and shares and 3,931 post clicks. The paid advertising campaign had a combined reach of more than 150,000. Facebook’s robust audience-building parameters allowed the campaign to target a highly qualified group of prospects (the difference between dog walker and dog lover is huge for SuperZoo!) and drove nearly 140 registrations at a cost less than one-third the industry average. Tagged in: #ArtoftheShow, Art of the Show, CEIR, Event Marketing, Events, Exhibitions, Expo! Expo!